Flexiable diamond bracelets, Walliss bracelet. 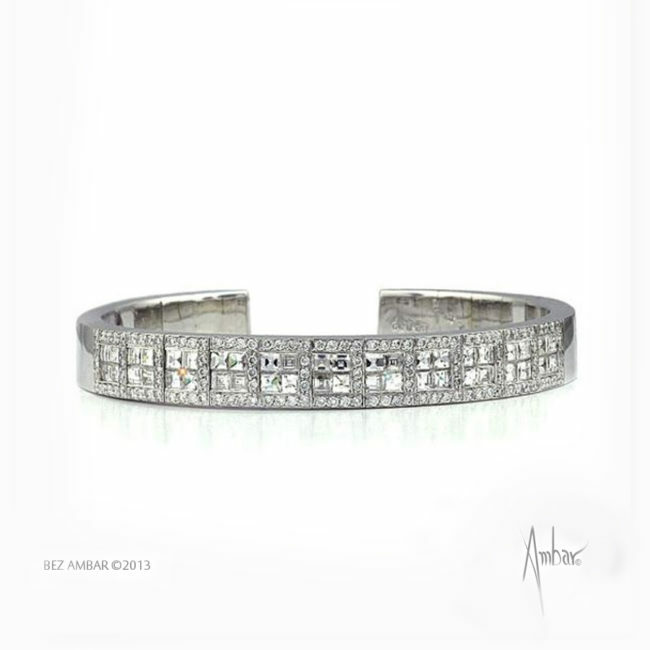 Clean, classic design of flexible diamond bracelets. Transforms into a modern design when set with large black and white Blaze diamonds. The bracelets can be worn alone or stacked.